A leading education finance specialist is retiring from HCSS Education after contributing over 35 years of experience to the education sector. Howard Jackson, head of education and founder of HCSS Education, part of Access Group, is retiring at the end of December following decades of experience, with roles including internal audit, school business manager and finance director. He first set up the company in the back bedroom of his home in Cheadle Hulme, Cheshire in 1993. 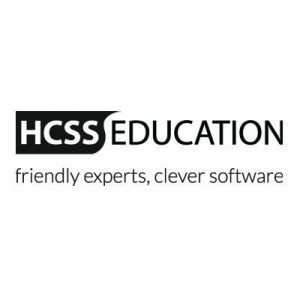 Since then, HCSS Education has grown to become a successful business, employing over 80 people and boasting an impressive portfolio of software solutions, training and consultancy services. Macclesfield-based HCSS Education was acquired by Access Group in December 2015 and over the past 12 months, Howard has worked to help drive the business forward and launch the UK’s first online school financial accounting software, HCSS Accounting. Adam Brown, chief commercial officer of Access Group, said: “Howard’s leadership and passion has positively influenced many people from school heads, administrators and teachers, to HCSS and Access employees, business partners and resellers. It has been a real pleasure working with Howard and his drive, passion and leadership will be greatly missed. “We’re pleased that he will still be involved with HCSS, sharing his insights and experience and supporting key activities as the company moves forwards. In July 2015, Howard was awarded a Fellowship of the National Association of School Business Management and he is also the author of a nationally circulated document on financial planning published by the DfE, Strategic Planning: The Key to Financial Sustainability. Howard is also the founder and original chairman of the Northern Bursars Group and was previously a non-executive director of the National Bursars Association. Aside from his entrepreneurial interests, in 2014 Howard established the charity The School Bus Foundation, which aims to provide disadvantaged children and young people in mainstream education with opportunities that can make a positive difference to their lives. Manchester Metropolitan University is one of the largest campus-based universities in the UK and one of the most extensive education centres in Europe. With a history dating back 150 years, the University combines both a traditional and contemporary setting, providing an inspirational environment to its student population of over 36,000. The University is committed to a strong future and has invested £350 million into its buildings and facilities. The University has over 600 technology-equipped rooms of various sizes, including lecture theatres, IT labs, smaller classrooms and meeting rooms, and keeping the technology infrastructure up to date for an institution this size, is no easy task. As part of the large scale upgrade of the University’s facilities, they decided to install a state of the art projection solution into their largest lecture theatre which also serves as an exhibition hall. This lecture theatre houses a variety of events, fashion shows and conferences, creating a very complex set of requirements for AV solutions. The projectors in this specific location are positioned high up on the ceilings, and previous solutions required considerable downtime and effort for maintenance, lamp and filter changes. This is why a key priority for the University was finding an efficient projection solution that requires virtually zero maintenance. Aging lamp based projectors, which take a lot of time and energy to run smoothly, didn’t suit the needs and pressures of this modern-day educational institution. Instead, Manchester Metropolitan required a solution which would deliver hours of maintenance-free use, and this is why the AV team turned to Sony’s laser projectors to deliver the reliable solution that would guarantee years of operation. The other key deciding factor in the implementation was the University’s requirement for impeccable picture quality that the Sony projectors deliver effortlessly. Sony has unrivalled expertise when it comes to AV technology solutions and understands how to create a state of the art solution that will fulfil every industry’s requirements, let it be creating an engaging learning environment through rich multimedia platforms or providing the most advanced technologies for corporate and exhibition spaces. In conjunction with Manchester Metropolitan’s AV team and Roche AV (Integrator), Sony designed and implemented a solution that features six VPL-FHZ65 3LCD WUXGA laser projectors with a colour brightness of 6,000 lumens. Four laser projectors were installed in the University’s exhibition hall. By stacking four (2×2) 6,000 lumens projectors front facing as well as back facing, they were able to create a stunning, approximately 10K lumens image to impress students as well as event attendees. Two further projectors were installed in lecture theatres, creating an immersive, informative education environment that brings presentations up-to-date. The striking 10K images produced have engaged the students, academics and event visitors alike, enabling the University not only to provide an inspiring learning environment, but also to compete with the most modern corporate venues for high profile events and exhibitions. Feedback on the picture quality has been very positive, living up to the expectations of delivering a reliable and solid image with exceptional colour rendition. The expected virtually maintenance free lifetime will increase the TCO of laser technology, allowing Manchester Metropolitan to capitalise on minimal downtime while safe in the knowledge that image quality will remain throughout the projector’s lifespan. 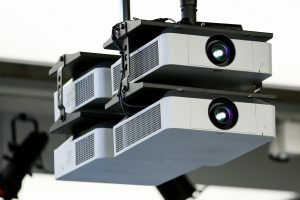 The VPL-FHZ65 laser projectors cater perfectly to the University’s unique needs, as these projectors are ideal for a wide range of business, education and general presentation applications. The impeccable colour rendition was the main deciding factor for the AV team to choose laser technology. Sony’s powerful Z-Phosphor laser light source, teamed with advanced BrightEra 3LCD projection engine was chosen as it delivers extremely bright, crisp WUXGA resolution images with powerful 6,000 lumens maximum light output and rich, stable colours. The projectors that were selected fit seamlessly into the environment, offering exceptional brightness, zoom and throw range, coupled with wide lens shift range, meaning they can perform where other projectors would struggle – even in high ambient light. The stunning 10K image produced, is seamlessly blended from the multiple projectors, creating a super-sized, beautiful picture. 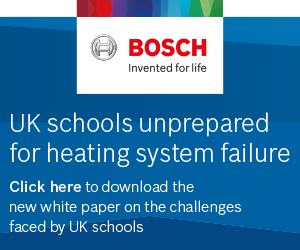 But implementing a solution with virtually zero maintenance operation for up to 20,000 hours* without the worry of sudden lamp failure, was most important factor for the University. The automated filter system cuts the hassle of regular dust cleaning and the range of energy-saving features future proof Manchester Metropolitan’s investment, significantly driving down total lifetime ownership costs. Neil Anderson, ITS Campus Technology at Manchester Metropolitan University, commented on the solution selected: “It was important for the University to find a solution that maintained a high performance, excellent image quality and compatibility with our existing technologies. We wanted projectors that were reliable while producing a solid image with good colour rendition. After seeing a demo of Sony’s projectors, we were convinced that laser technology was the right decision for our unique requirements and the solution has lived up to our high expectations. We are looking forward to further developing our campus technology in the years to come”. 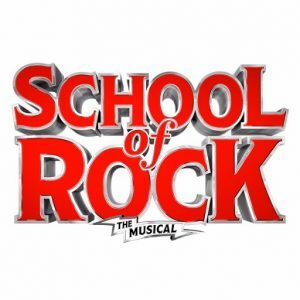 14th December 2016: Following the critically acclaimed West End opening last month of School of Rock – The Musical, Andrew Lloyd Webber announces that from today, academic schools in the UK & Eire can obtain the rights, free of charge, to create and perform their own productions of his latest show. A first for a newly opened Andrew Lloyd Webber West End production, the announcement demonstrates his ongoing commitment to promoting the arts and music in schools and the positive impact this has on children. Lloyd Webber’s West End production of School of Rock – The Musical began previews at the New London Theatre last month and has subsequently been hailed by audiences and critics. The production has now extended public booking to 9 April 2017, with school groups exclusively able to book until the end of the academic year in July 2017. The musical follows slacker and wannabe rock star Dewey Finn turn a class of straight-A 10 year old students into an ear popping, riff scorching, all conquering rock band. Dewey poses as a substitute teacher at a prestigious prep school to make ends meet, and when he discovers his fifth graders’ musical talents, he enlists his class to form a rock group and conquer the Battle of the Bands. As Dewey falls for the beautiful headmistress, can he and his students keep this special assignment secret as they learn to fully embrace the power of rock? School of Rock –The Musical received its world premiere in New York at the Winter Garden Theatre in November 2015 where it continues its smash hit run. Having broken house records, the production subsequently garnered 20 Broadway theatre awards nominations including four at the 2016 Tony Awards – Best Musical, Best Book of a Musical, Best Original Score and Best Performance by a Leading Actor in a Musical. A national Company will launch a US Tour in the Autumn of 2017, playing coast-to-coast engagements across America. Sainsbury’s is proud to partner with School of Rock – The Musical. For the duration of the production, all school uniform will be provided by Tu Clothing from Sainsbury’s. Featuring quality design details such as Teflon fabrics, perfect creases, permanent pleats and long-lasting colour, Tu Clothing ensures that school uniforms will look as good as new night after night. 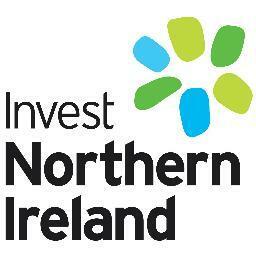 Invest Northern Ireland (Invest NI), the main economic development agency for this part of the UK, will have a Northern Ireland pavilion for the first time at Bett 2017, to showcase six of the region’s exciting and upcoming edtech companies, and to promote trade with Northern Ireland. Helping new and existing businesses compete internationally, Invest NI is excited to be bringing Go-Berserk, Makematic, Qubizm, Synergy Learning, TakeTen Ltd and Wholeschool Software Ltd to ExCeL London for Bett in January 2017. Wholeschool Software is an education platform that supports school improvement, integrated learning and online training. Alison Gowdy, director of trade at Invest NI, explains why exhibiting at Bett was a priority for the organisation: “Globally, we’ve certainly seen a boom in the edtech sector recently and this has had a ripple effect on Northern Ireland. Our growing edtech cluster is well positioned to take advantage of the projected growth in the global market. Bett is a leading edtech exhibition with global reach, so it’s the perfect platform for these companies to share their vision with the rest of the world. Visit the Northern Ireland pavilion at Bett, Stand C105 or visit InvestNI.com/Bett for more information. Heathfield Academy Trust, a Multi-Academy Trust in Darlington, has put forward an application to the Department for Education to open a brand new free school in Catterick. Cambrai Community Primary School would be the first in the North Yorkshire area for the MAT, which currently comprises five schools – Heathfield Primary School, Hurworth Primary School, Northwood Primary School, Corporation Road Community Primary School and Mount Pleasant Primary School. The school, set to be based on the former Darlington College site on Catterick Road, would be for children aged between three and eleven years. Plans include a primary school and a nursery and, if the application is successful, the school will open in September 2018. Nick Blackburn, chief executive of Heathfield Academy Trust, said: “Catterick is an area of local need and North Yorkshire County Council has indicated that there is expected to be a shortfall of 730 primary school places in the area. In addition, the MoD has proposed 315 additional service families homes by 2019 in the surrounding area, accelerating the demand for primary places. 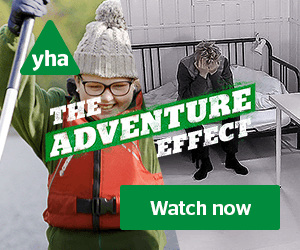 “At Heathfield Academy Trust, we have a vision for a highly successful family of schools where children are supported educationally, socially and practically to achieve their highest potential in school and in life. We are truly inclusive and aim to make the biggest difference to the whole child and the local community. County Councillor Arthur Barker said: “A housing development in Catterick Garrison, Richmondshire will, we anticipate, create the need for significant additional primary school places after 2018. Discussions have taken place with schools, parents and the wider community in the area to understand their views about how the additional provision might be made. “In March it was decided that the additional primary school places to serve the developments should be provided in the form of a new Primary Academy from September 2018 and, as a result, work should commence to secure an academy sponsor. 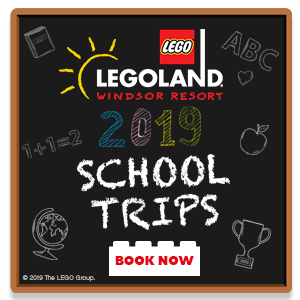 In addition, consideration was to be given to the existing accommodation at Le Cateau, Hipswell and Colburn Primary Schools to ensure that all additional places required could be provided. Additional capacity will now be available at these primary schools from September 2017. “North Yorkshire County Council supports the application from Heathfield Academy Trust, which already sponsors a number of schools near Catterick and who the DfE identified as a potential sponsor for the new school in Catterick. The Bett Arena will host educators from across the globe, gathering on the show’s centre stage for a passionate, open, knowledgeable and entertaining look at how we can create a better future through education. Visitors will be given practical advice, insight, inspiration and tools to help them become educational game-changers. 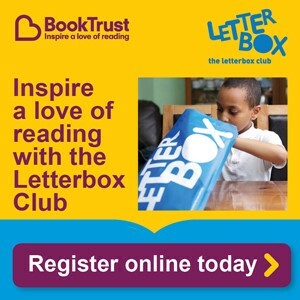 Speakers will include Sir Ken Robinson, Heston Blumenthal, Karen Blackett, Ed Stafford, Sir Tony Robinson, Professor Stephen Heppell, and Eric Sheninger. Bett 2017 is free to attend and will take place from Wednesday 25 to Saturday 28 January 2017 at ExCeL London. For more information or to register, please visit www.bettshow.com. You can also follow the conversation on Twitter @Bett_Show. 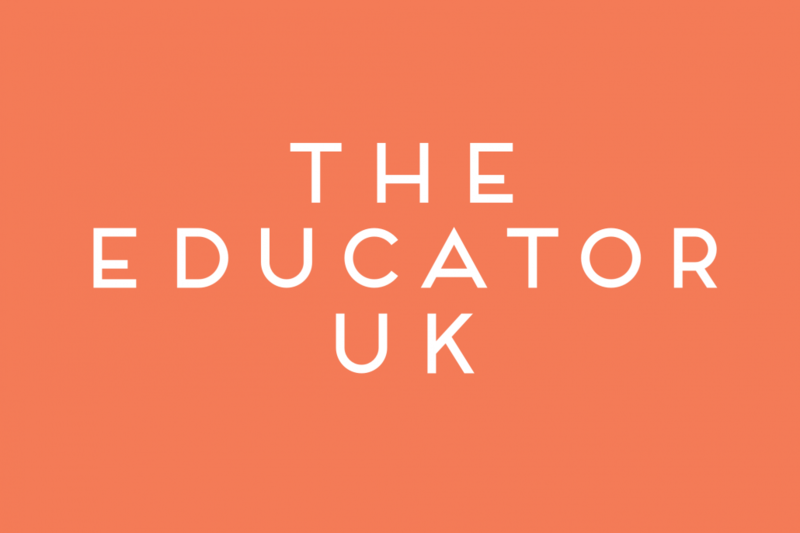 An innovative edtech start-up that enables students to access textbooks electronically from any device has added four UK universities to its growing customer base. Bournemouth-based Kortext has won contracts with the University of Leeds, Manchester Metropolitan University, University of Worcester and the University of Strathclyde to provide students with its learning platform which enables access to thousands of digital textbooks, anytime, anywhere and on any device. Students will also benefit from other features such as note taking, online group collaboration and referencing. The new business wins come at an exciting time for Kortext, which has also been appointed to the NICE Electronic and Print Content Framework Agreement. As a NICE framework content provider Kortext can supply medical and healthcare related ebooks to the NHS and other eligible healthcare organsisations. 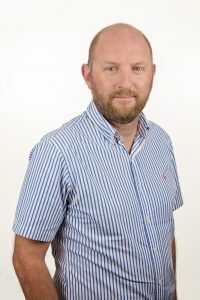 In response to this significant growth, Kortext has expanded its growing team, appointing nationally recognised educational specialists, such as Glenn Thomas, as regional sales manager. Glenn will lead on working with university leaders to implement Kortext, providing ongoing support with training staff and students on the learning platform. Kortext currently works in partnership with more than 40 UK universities, enabling students to access over 350,000 digital textbooks from more than 650 academic publishers, online or offline on any device. In addition to this, Kortext provides an analytics dashboard for universities, enabling them to see how students are engaging with their course content and identify learning trends. Andy Alferovs, managing director of Kortext, said: “After becoming the UK’s leading provider of digital textbook solutions and seeing the size of the team double over the past three years, we’re really excited to continue working in partnership with some of the most prestigious universities and institutions in the country. Bright children from poorer backgrounds are far less likely to go to university or study A-levels that could get them into top universities than their wealthier counterparts – even if they live in the same neighbourhood and achieve similar results at GCSE. It found that just 24 per cent of children eligible for free school meals attend higher education compared to 42 per cent of children from more privileged backgrounds. Poorer children are also twice as likely to drop out of education at 16 and are more than half as less likely to study A-levels that could get them into a top university. The research, carried out for the Commission by Education Datalab, investigates the post 16 choices of children by social and geographical background, gender and ethnicity. The study explores all educational choices by all students who took GCSEs in the summer of 2010 by linking three national databases for the first time. The report finds that GCSE attainment and geographical access to post 16 courses explains some of the gap in choices made by children from different backgrounds. But it also uncovers significant differences between poorer children and wealthier children living in the same neighbourhood with the same GCSEs results. The report concluded that Britain has a deep social mobility problem which is getting worse for an entire generation of young people. It found that for every young person who gets into university from a treadmill or just managing family background, seven do not. It also identifies the North East and the South West as having the fewest institutions for young people to choose from, which may be a significant factor in why post-16 and destinations outcomes are so poor in these regions. Whilst young people growing up on London have, on average, 12 post-16 institutions to choose from, those in the North East and the South West only have an average of seven colleges or sixth forms they could commute to. White British students are far less likely to go to university than ethnic minority students: Indian (72 per cent), Pakistani/Bangladeshi (57 per cent), Black (72 per cent) and White British (36 per cent). Participation differences between White British and other ethnic groups who live in the same neighbourhood and with the same GCSE attainment are even more pronounced. Female pupils are 8 per cent more likely to attend university than males (44 per cent versus 36 per cent). However, although female participation rates at top selective universities are slightly higher (10 per cent versus 9 per cent for boys), they are less likely to attend these universities than a boy from the same neighbourhood with the same GCSEs. Alan Milburn, Chair of the Social Mobility Commission, said: “When low income youngsters from the same area with the same school results are progressing less than their better-off classmates, that is not about lack of ability. It is about lack of opportunity. The progression gap has many causes but it suggests something is going badly wrong in our education system. “The lack of proper careers advice in schools and the sheer complexity of the post-16 education and training system make it particularly difficult for lower income youngsters to translate their attainment at school into qualifications that are well rewarded in the labour market. Dr Rebecca Allen, Director of Education Datalab, said: “The age of 16 marks the first point in most individual’s educational lives where opportunities and choice can become markedly diverse. EDExams is an all-in-one online exam and assessment platform that allows any size organisation or governing body requiring the use of online examinations to create their own examination. 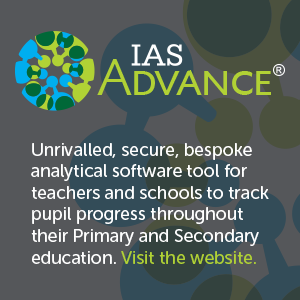 EDQuals is a pioneering assessment, coursework and verification portal that can be used by any school, educational organisation, training provider or governing body. 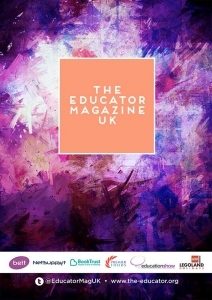 Shortlisted for two prestigious Bett Awards in January 2017, EDLounge, a unique and comprehensive platform that offers students who struggle with mainstream education the opportunity to access learning, will be launching its two newest resources at the show: EDExam and EDQuals. EDExams is an all-in-one online exam and assessment platform that allows any size organisation or governing body requiring the use of online examinations to create their own examination. The clever system also enables users to closely manage centres, candidates, exam papers, exam sittings and marking. Mock exams can also be issued through the system, providing students with real practice opportunities, and helping them to identify and work on any knowledge gaps. EDQuals is a pioneering assessment, coursework and verification portal that can be used by any school, educational organisation, training provider or governing body. The unique platform allows coursework to be submitted online, delivers assessment for qualification, monitors and tracks student progress, and provides instant verification and sampling. Ex-teacher and founder of EDLounge, Sam Warnes, explains why he’s excited to unveil the company’s newest offering: “When we first set up EDLounge in 2009, our objective was simple: give students who struggle with mainstream education the opportunity to access learning. Academic success and achievement shouldn’t be reserved only for those students sitting within the classroom walls; our aim is to ensure that this doesn’t happen! For me, it’s all about ‘changing mindsets’; once teachers see the real impact EDLounge can have on students, their buy-in is phenomenal. We’re currently in over 140 schools across the country, all of which have seen incredible results to date. We’re excited to show visitors to Bett what we’ve been working tirelessly on over the past twelve months. Pop by Stand E95 at Bett to speak to Sam or any of the EDLounge team, who will be happy to give you a personal demonstration of any of the exciting products in their impressive suite, and learn more about how EDLounge could benefit your school. 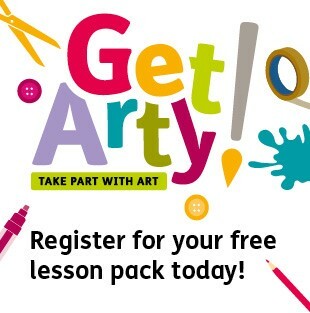 Visit https://www.edlounge.com for more information.